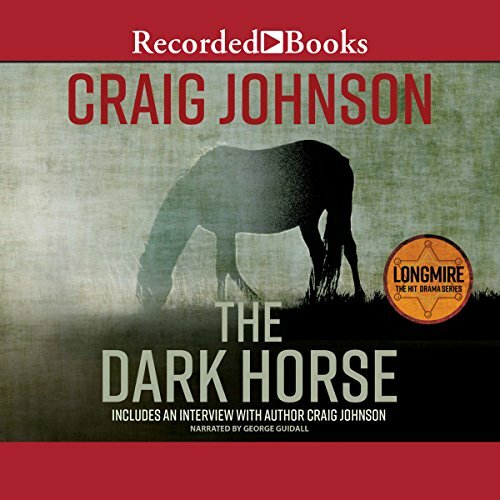 The Denver Post hails Craig Johnson's Walt Longmire mystery series as a must-read. Joining the four previous novels - all of which have been Book Sense picks - The Dark Horse puts a unique Wyoming twist on the classic British village mystery. Sheriff Longmire investigates when his instincts tell him something isn't right about a prisoner accused of killing her husband. Wade Barsad, a man with a dubious past, locked his wife's horses in their barn and burned the animals alive. In return, Mary shot Wade in the head six times - or so the story goes. Walt doesn't believe Mary's confession, and he's determined to dig deeper. Posing as an insurance claims investigator, Walt soon discovers other people who might have wanted Wade dead, including a beautiful Guatemalan bartender and a rancher with a taste for liquor, but not for honesty. 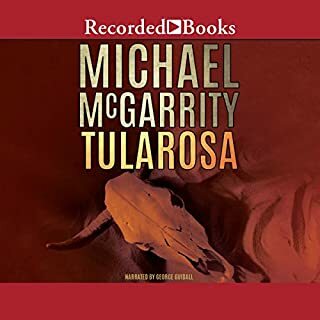 The Dark Horse is sure to build on the success of Another Man's Moccasins as Sheriff Longmire unpins his star and ventures into a town without pity to save a woman without hope. Johnson has done it again. I love these characters and these people. I want to know them and live in their town. He has the ability to write 5 books in a series each of which is entirely different from the others. The Cold Dish was my choice for best listen a couple of years ago, and Another Man's Moccasins was my choice in 2008. This one is in the running for the best for this year. He is a fine writer with a literate protagonist. He develops the story in a way that allows the reader to become part of the story. It is so nice to find a book that reads so beautifully. The interaction with the title Dark Horse is amazing, and of course as usual, the title has several meanings. I'll not go into that because a couple of them are key to the story. I would have like to see more of Vic and Henry, but they were clearly an important part of the story even if they were only on the periphery most of the time. There were some very interesting secondary characters introduced this time. A young boy and his mother, an old cowboy, and a surprising FBI agent are all well developed and integral to the plot. Read this book. 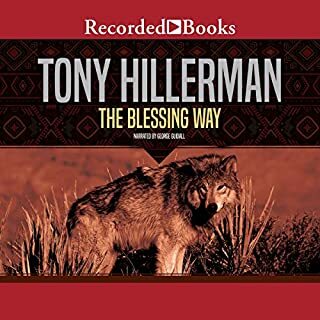 Better yet, listen to this book. George Guidall has become Walt Longmire for me. I hear his voice when I read the books with my eyes. This is a beautiful story, in part about a downtrodden woman and her abused horses. It's hard to get the images/feelings about the horses out of your head; there are parts that are shudder-worthy. Luckily, in comes the wonderfully tough and yet sensitive -- and capable --Walt Longmire to lend a hand. Truly a beautiful and at times haunting story, and a good mystery to boot... with an excellent narrator. If someone had never read the previous Longmire books I would not recommend this one as a starter. Otherwise, probably. What other book might you compare The Dark Horse to and why? I compare it to “Another Man’s Moccasins,” as both stories travel back and forth in time. This transition worked very well in “...Moccasins.” Going back to Longmire’s actual war experiences in Vietnam, the reader is better able to understand and feel empathy for the sheriff's present day situation. Interweaving the past and present also emphasizes how memories have not faded with the years. “The Dark Horse” often hops into the recent past after relating present day occurrences. I do not think the technique benefitted this story. Rather than announcing that it is now a week, or so, ago, all events could have been incorporated into a forward moving tale. Since I saw no purpose for the time travel, I found it a gimmicky distraction. The ones that featured the boy and his mom, and also any scene with Bear. When a woman confesses to killing her husband, Sheriff Longmire goes undercover to prove her innocence. “The Dark Horse” is the fifth book I have read in this series. If Longmire continues to be brutally injured in each story to come, even Dog might not recognize him. The descriptions of the Wyoming area put me right there. Since I'm from Utah, I've been to some of the areas mentioned in the book and this made it much more captivating. The story had a nice twist, but it was predictable, but still very entertaining. I highly recommend this book! I could envision Tom Beringer playing the part of the sheriff if it were made into a movie with all the clever quips and humor in the story. 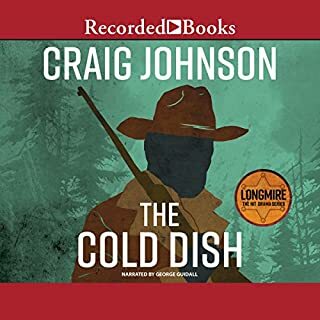 I hope Craig Johnson continues to write more books about Sheriff Longmire. I enjoy listening to his laid back but heroic style of doing his job. I like the Cheyenne nation, Standing Bear and his refusal to use contractions. He won't say won't, he will say will not. I am totally caught up in the story but alas there are no more. I have all five. I will download the next book when you write it, come on Craig, you do not, or maybe don't need the sleep. Get busy. Good stuff! Craig Johnson is always a sure thing. Walt, Vic, Henry and Dog are back with a risky, fly by the seat of your pants, covert operation. Walt has taken on a case where the accused is just not fitting his criteria of a murderer and in all good conscience cannot let this sleeping dog lie. A woman is accused of killing her husband and burning down their house and barn. It just so happens that it was located out in one of the roughest parts of the Wyoming countryside. 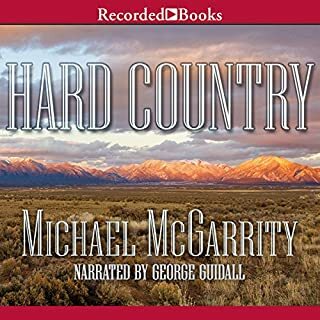 Walt goes sleuthing around under the guise of an insurance agent and gets himself, as usual, stuck right in the middle of some very shady back country folk. They are not used to outsiders and Walt sticks out like a sore thumb. The whole gang is back with some very endearing and villainous new characters that CJ is a master at creating. The Longmire series is the best, each book is originally clever and exciting. The rare and comfortable relationships between the characters and Walt's layered personality, consistently keep the stories interesting and colorful. 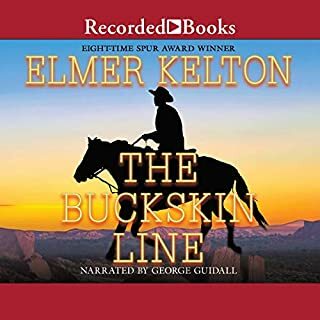 George Guidall's narrative and Craig Johnson's writing are a brilliant combination that are without exception, amusing and highly entertaining. this is the lastest in the series. And in my opinion it just gets better and better. get this book, it is worth the credit. I LOVE Craig Johnson's "Walt Longmire" mysteries. . . or maybe I am in love with Walt. . . either way, this is yet another great story in the series. This time, Walt attempts to go undercover in a backwater Wyoming town to resolve a murder. He and his pal "the Indian Nation" do their best and the story offers great excitement, many twists and turns, a little romantic speculation and lots of humor. If you haven't started the series, do! Cold Dish will introduce you and from there, it is a sure bet that you'll want all eight of Walt's stories in your library. 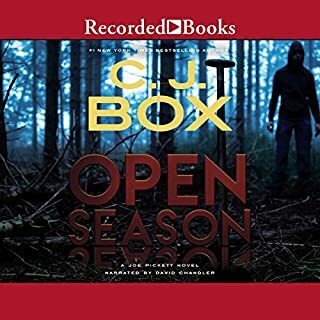 Good writing, great characters, tremendous narration.